We exist to change the world ...or at least conquer slipping ATVs, straps flapping in the wind, and failing spring retractors. The stuff you take pride in says a lot about what we do. From furniture to ATVs, we safeguard investments like no one else by identifying what doesn’t work, and resolving to do it better. We don’t stop until every touchpoint and step in the process ladders up to a superior experience. Introducing a NEW Patent Pending feature designed to enhance the user experience of trimmable mats. 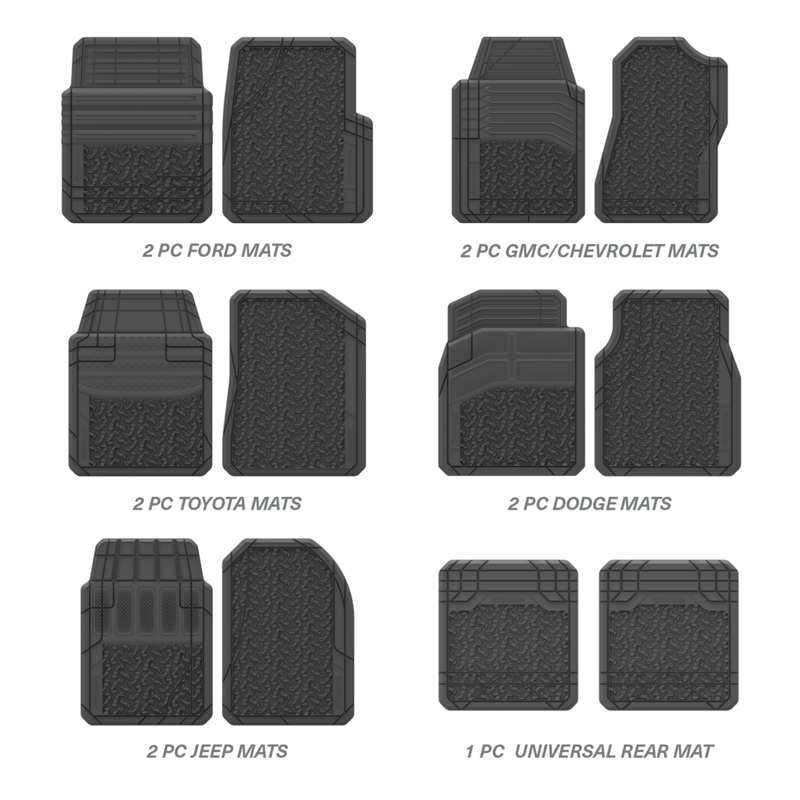 Trim lines are color keyed to specific year and model making it intuitively easier to properly trim your mat for maximum coverage and a Factory Fit. BFG’s new Factory Fit is engineered and stylized uniquely to each brand and provides a true original equipment fit. While the rugged BFGoodrich KO2 tread satisfies the need for durability, the grille-inspired heel pad speaks to the consumer’s brand loyalty. With Overcast sun shields on the dash and in your windows, your car has it made in the shade. Use it to protect your interior from harmful rays and keep everything cool under a precisely fabricated cover.